A couple of days ago I had a chance to visit Devils Tower National Monument in Wyoming. 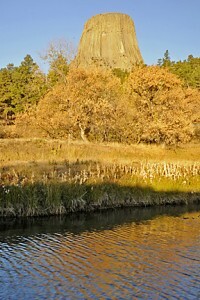 Even though I had been there before, the sight of Devils Tower rising from the earth still impressed me. 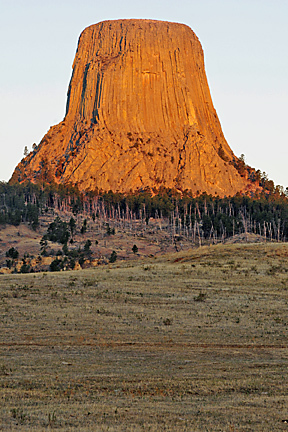 From the pictures shown here some of you may recognize Devils Tower as the formation that was featured in the movie, “Close Encounters of the Third Kind.” It has, however, other claims to fame. 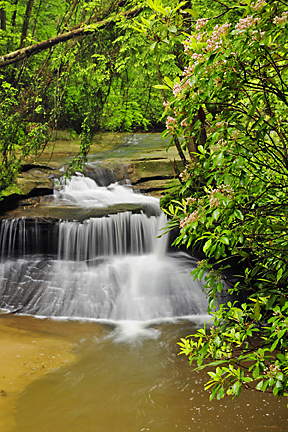 This park was declared the first national monument in the United States in 1906 by Theodore Roosevelt. 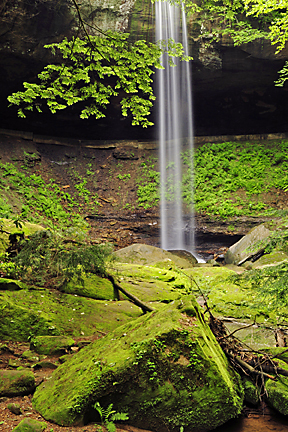 It is also considered a sacred place by many native Americans. Some people come to Devils Tower not to view or photograph it but to climb it. The monolith known as Devils Tower rises 867 feet from its base and stands 1,267 feet above the river and 5,112 feet above sea level. I’m not sure how this great tower came to be known as “Devils Tower” but I know that seeing it made me think of someone else–the God who made it. Throughout the Scriptures God is often referred to as a “strong tower” or “place of refuge.” Viewing Devils Tower I was reminded how God truly has been “a strong tower” in my life, as well as a place of refuge. I truly do give thanks for the stability and security God brings to my life. As strong and mighty as Devils Tower appears to be, it does not begin to compare with the strength and might of the One who made it. Nor does one have to go to Wyoming to find the strong tower and refuge that is God. The Solid Rock is available wherever you are. All you have to do is call out for Him and He is there. That’s His promise, not mine, but I have discovered it is true. I hope you have as well.